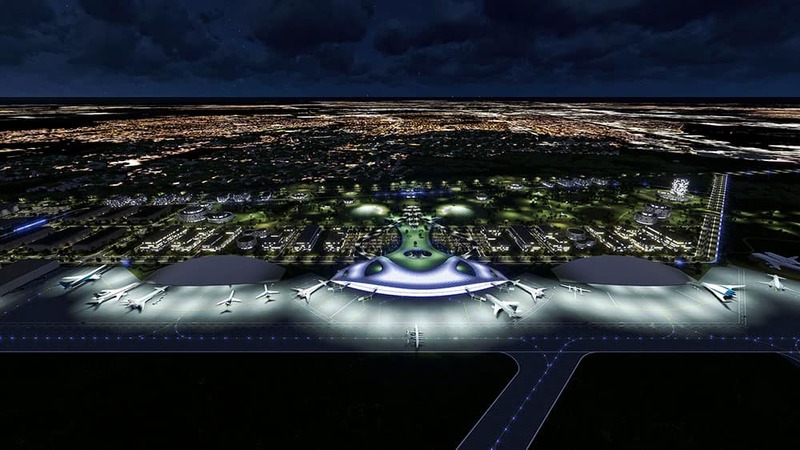 This drawing provided by the Houston Airport System various facets of the proposed spaceport in Houston. 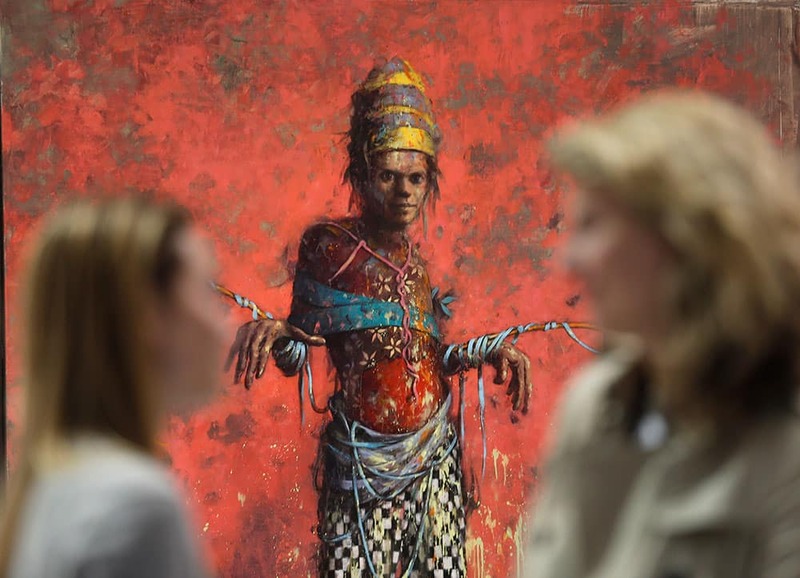 Women talk in front of a painting by Jonas Burgert from the Blain Southern gallery during a private viewing of the ART Rio-International Art Fair in Rio de Janeiro, Brazil. 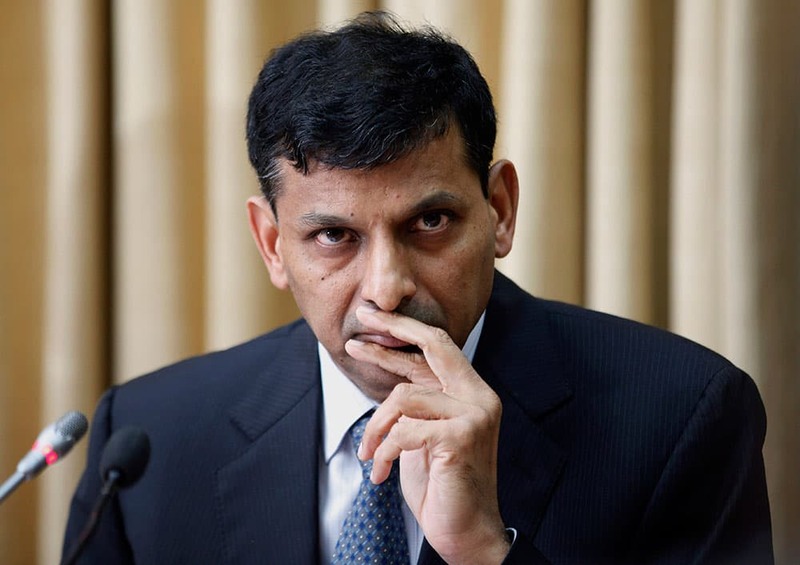 Newly appointed Reserve Bank of India (RBI) Governor Raghuram Rajan attends a press conference at the RBI headquarters in Mumbai. 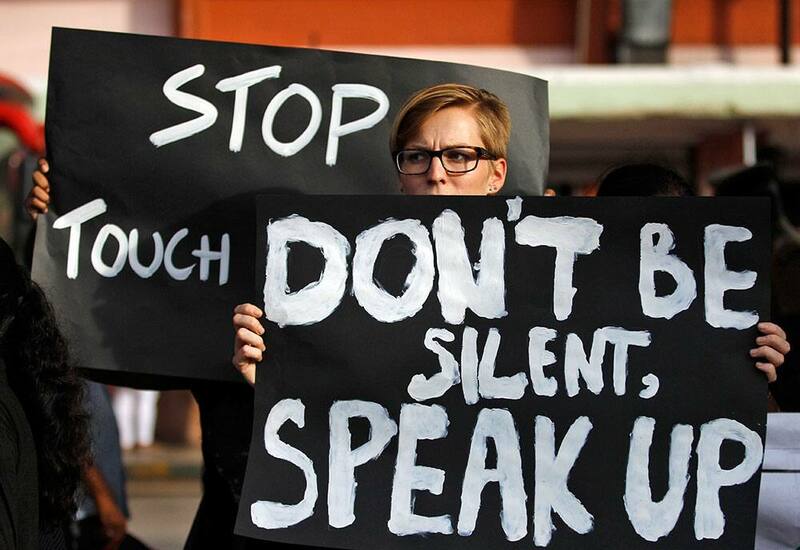 A woman holds a placard as she joins others during a protest against the alleged sexual harassment of women in public buses in Bangalore. 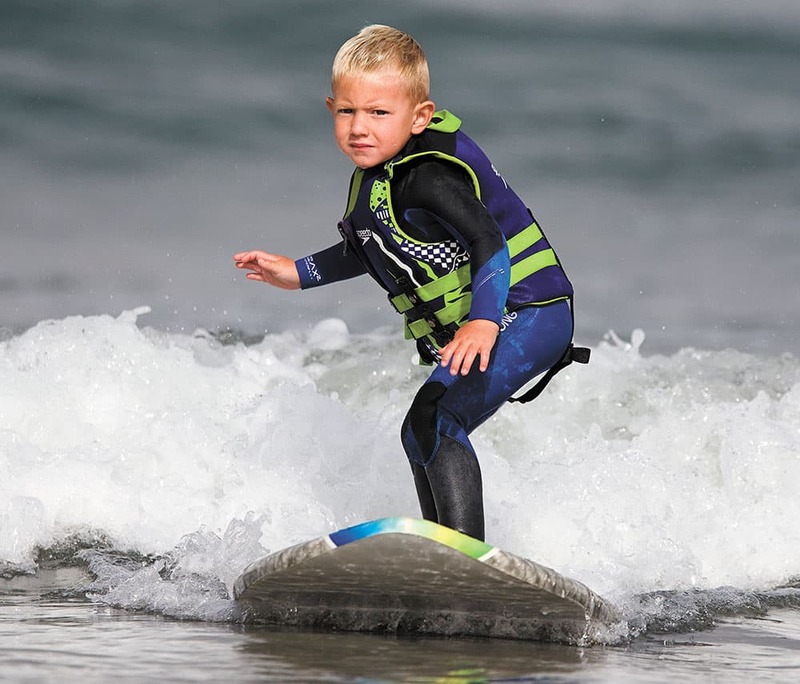 Triston Gailey, 3, surfs standing on his board in Morro Bay, Calif.
Christie Brinkley, left, and her daughter Sailor Brinkley Cook arrive at the 2013 Style Awards at Lincoln Center on Wednesday, Sept. 4, 2013 in New York. 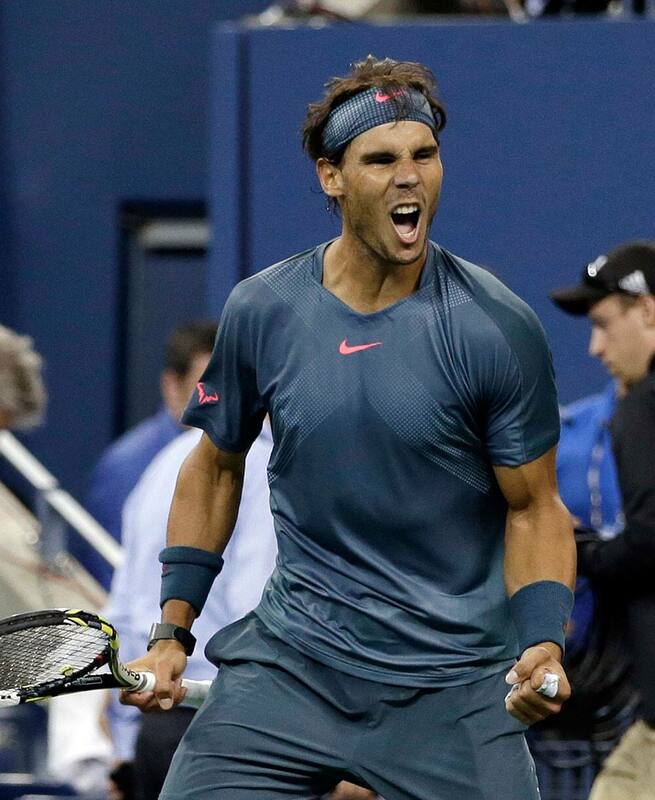 Rafael Nadal, of Spain, celebrates after defeating Tommy Robredo, of Spain, 6-0, 6-2, 6-2 in a quarterfinal of the US Open tennis tournament. 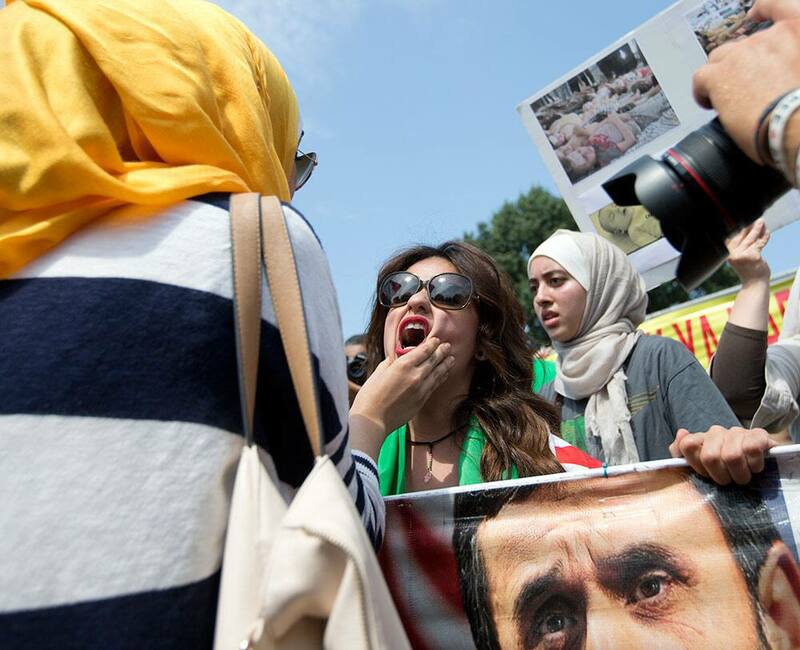 Asmaa Al-Ghafari, center, a self-described "Syrian-American revolutionist" who favors US action, is comforted by a friend and fellow supporter of the revolution in Syria, at left, during a heated demonstration in front of the White House in Washington. 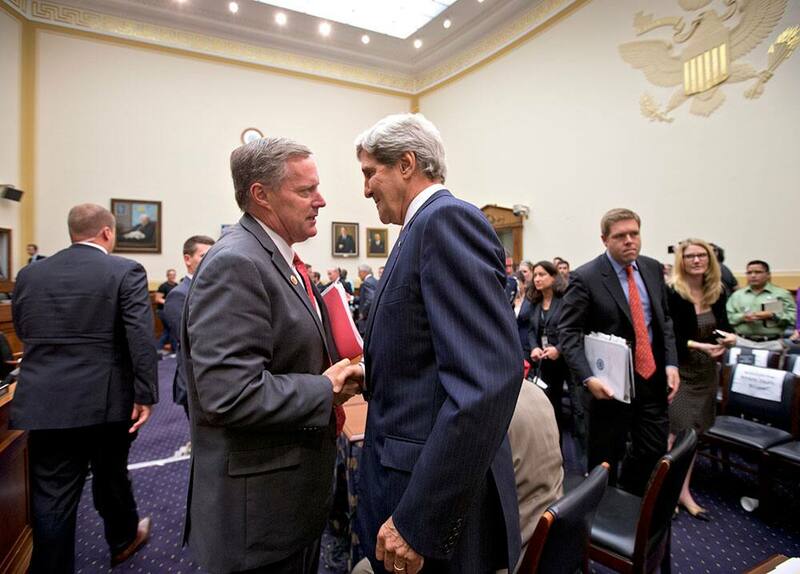 Secretary of State John Kerry speaks with Rep. Mark Meadows, R-N.C. at the close of a nearly five hours of questions at a House Foreign Affairs Committee hearing on President Barack Obama`s request for congressional authorization for military intervention in Syria, a response to last month`s alleged sarin gas attack in the Syrian civil war, on Capitol Hill in Washington. Danish Prime Minister Helle Thorning-Schmidt , Finnish President Sauli Niinistö, US President Barack Obama and Swedish Prime Minister Fredrik Reinfeldt during the Nordic Dinner in Stockholm, Sweden. Ciara performs at The NFL Kickoff Eve Party, Wednesday in Baltimore. 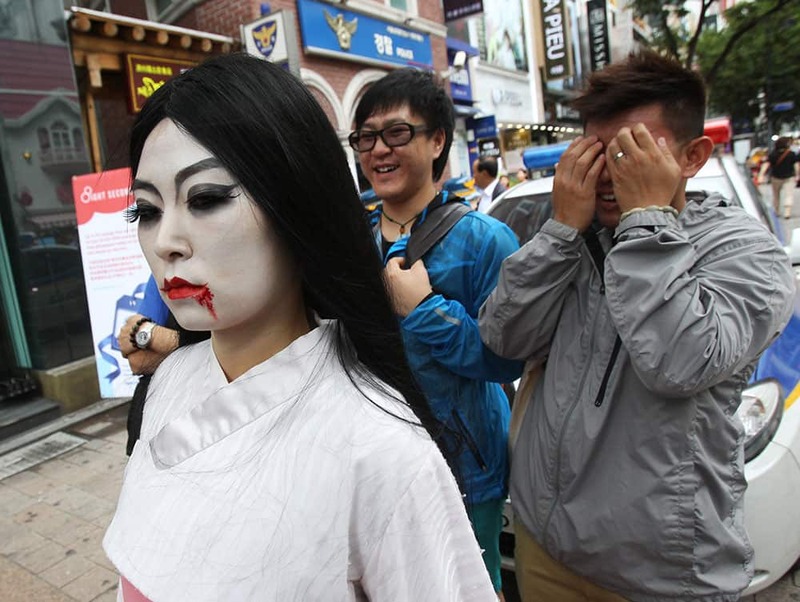 A South Korean employee at the Everland amusement park, wearing a Halloween costume for the upcoming Halloween events, walks on a street as a passer-by covers his eyes in Seoul, South Korea. 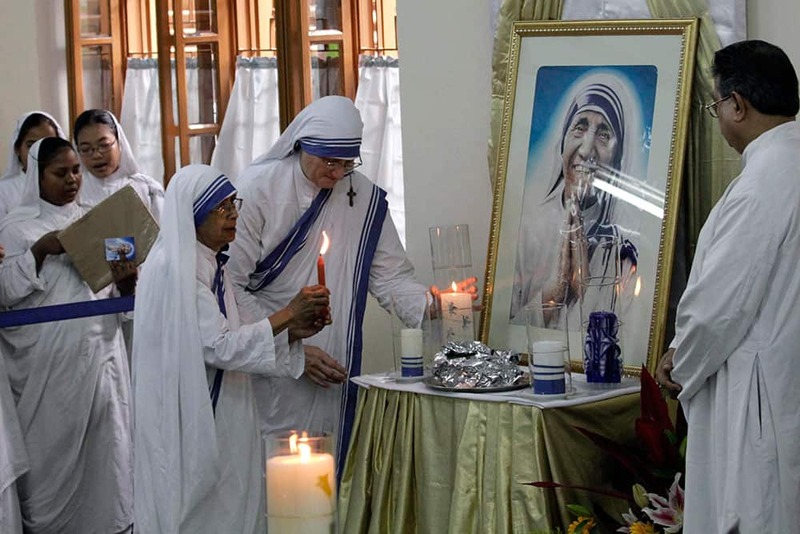 Sister Mary Prema, superior general of the Missionaries of Charity, helps Sister Nirmala, former superior general to light the lamp at the tomb of the founder of the order, Mother Teresa on her death anniversary in Kolkata. Syrian refugees arrive at the Turkish Cilvegozu gate border. US President Barack Obama is heading into the lion`s den of Russia, confronting Syria`s key patron as well as foreign leaders skeptical of his call for an international military strike against Bashar Assad`s government. 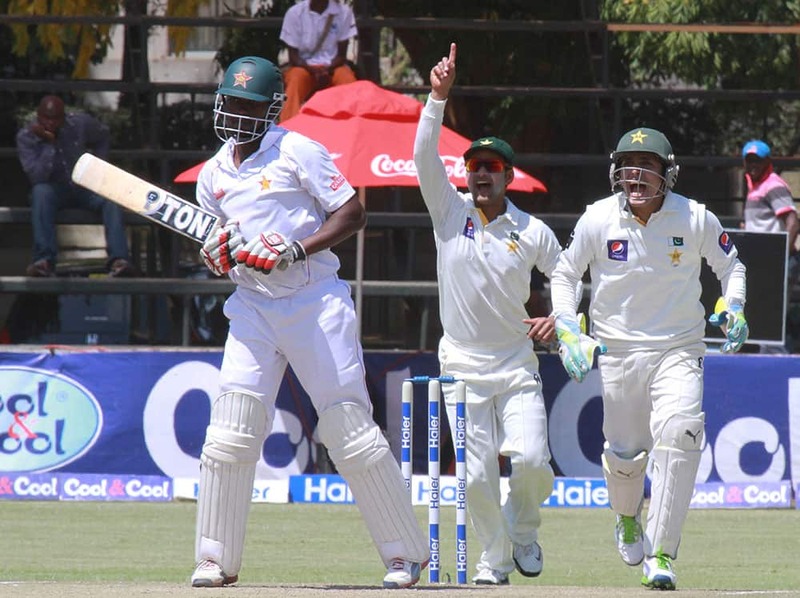 Pakistan players, right, celebrate the wicket of Zimbabwean batsman Elton Chigumbura, left, after he was caught for 69 runs on the third day of the first Test match against Zimbabwe at Harare Sports Club in Harare. 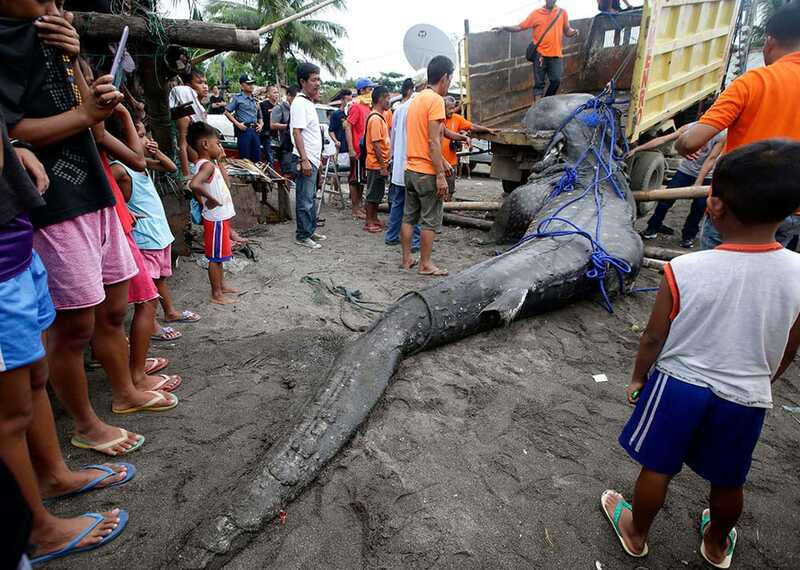 Residents and volunteers prepare to load into a dump truck a dead whale shark that was swept ashore at the coastal township of Tanza, Cavite province south of Manila, Philippines. 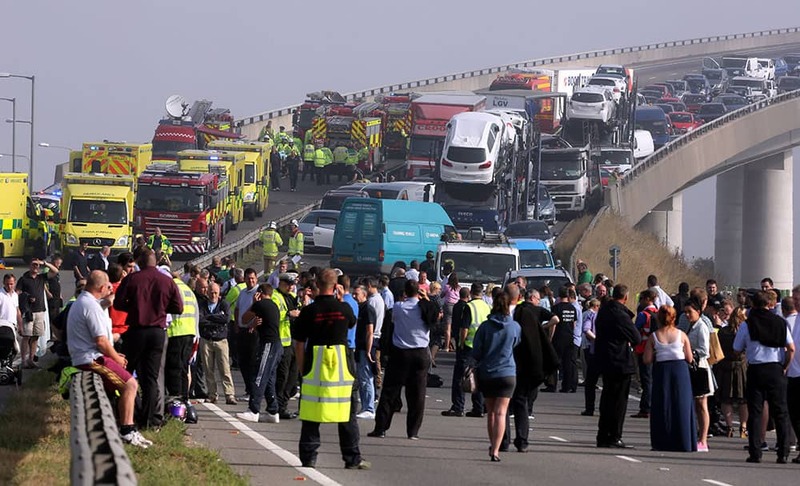 A general view of the scene on the London bound carriageway of the Sheppey Bridge Crossing near Sheerness in Kent, south England, following a multi vehicle collision earlier this morning. 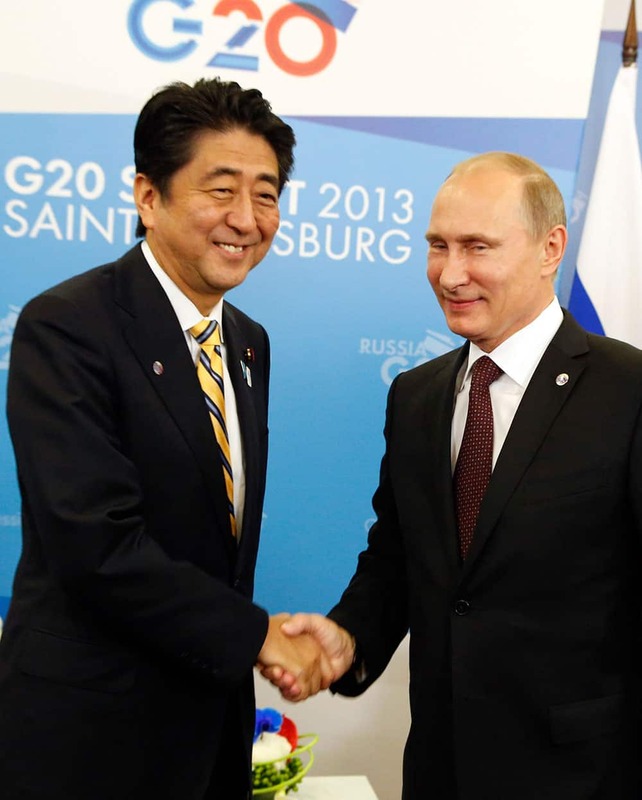 Russia`s President Vladimir Putin, right, shakes hands with Japan`s Prime Minister Shinzo Abe during a meeting at a G-20 summit in St. Petersburg, Russia. 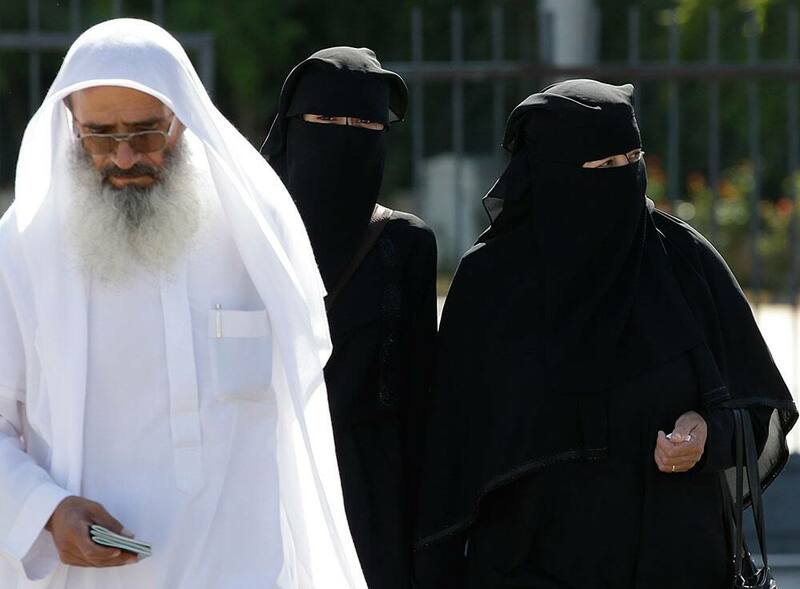 Muslim women chant slogans during a protest demanding the cancellation of the Miss World pageant that will be held in Bali and Sentul, West Java later this month, in Jakarta. A Kathakali artist performs in Chennai, India. 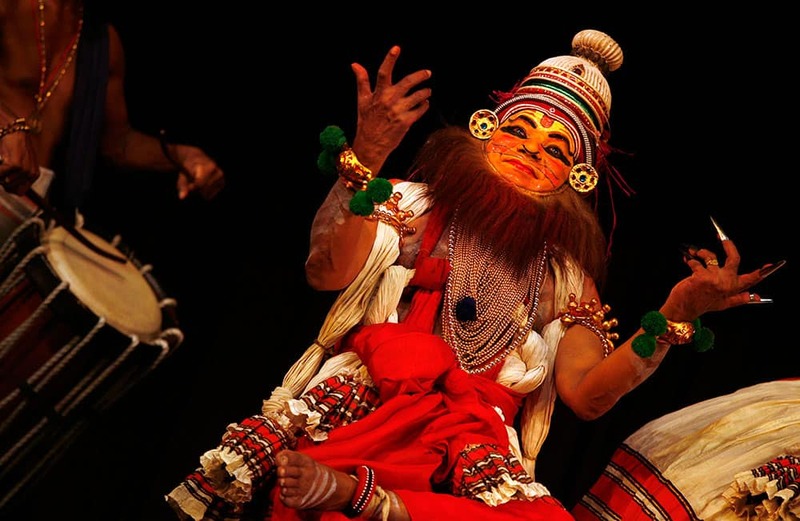 Kathakali is a classical dance that was created in the ancient kingdoms that now make up Kerala. Romanian riot policeman prepare to confront protesters, as a woman views the scene and demonstrators gather nearby, in Bucharest, Romania. 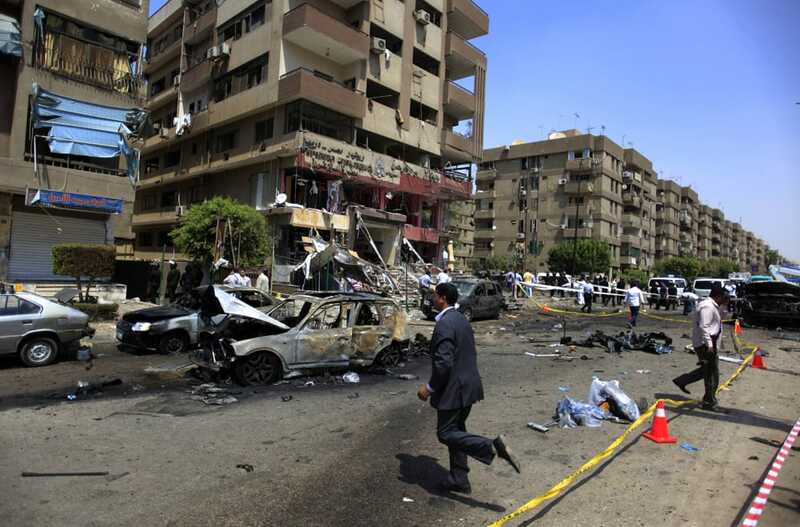 Egyptian security officers gather at the scene of a bomb attack targeting the convoy of Egypt`s Interior Minister Mohammed Ibrahim, in Nasr City, Cairo, Egypt. 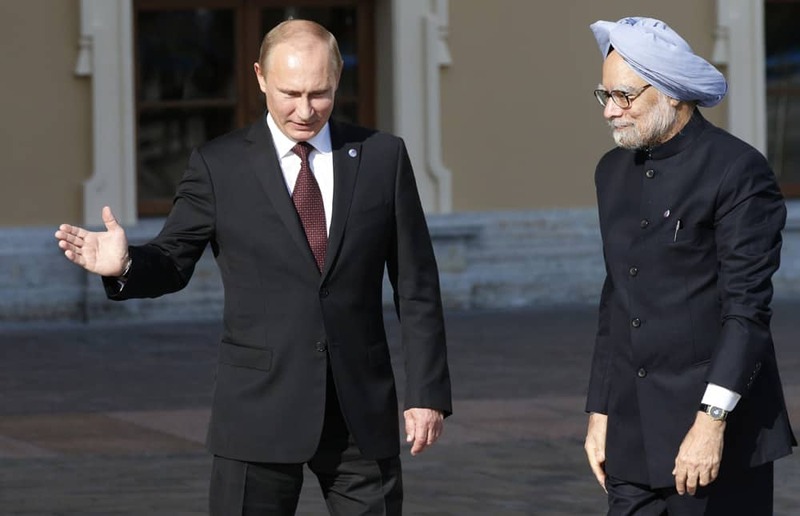 Russia`s President Vladimir Putin welcomes India`s Prime Minister Manmohan Singh during arrivals for the G-20 summit at the Konstantin Palace in St. Petersburg, Russia.